Some of this sheet music looks more like a secretive language of a cult than something used for playing an instrument. The music itself though is interesting. Most of the pieces seem as though they would fit in well with a horror movie, keeping the viewer on the edge of their seat with inconsistent pitches, playing styles, and sounds. It’s possible to see these scores as cryptic and cultish. But that was not the intention. 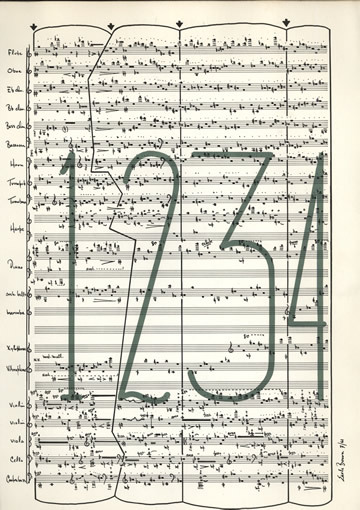 These composers, guided by Cage, came to dislike the authoritarian quality of traditional scoring, which dated back to Beethoven and intensified up through the extremely severe compositions of Arnold Schoenberg. These younger composers saw traditional notation as simply mandating what musicians should play in advance, leaving nothing to spontaneity and chance. Cage instead wanted scores only to suggest what an musicians might, and to leave room for various kinds of felicitous accidents. The horror soundtracks you mention don’t really derive from the music of the New York School, as directors and producers at the time would have considered too erratic and insufficiently musical. 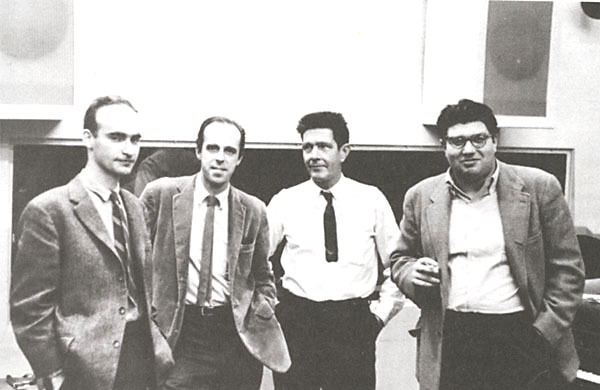 Who Hollywood types did in fact embrace where Schoenberg and his cronies. 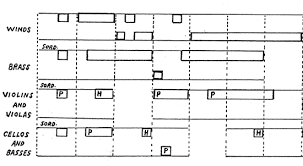 Schoenberg’s 12-tone and atonal compositions were the product of his belief that musical compositions should favor no particular key. No note could be used twice before every other note in the 12-row had been used first. The result is music which is feels extremely vagrant and fraught with dramatic tension, but which never allows for resolution of that tension. In this way the composer can creates a feeling of unremitting anxiety and avoid any of the banal allegro (‘happy’) or grave (‘sad’) emotions scripted into traditional scores. Of course all this took place some seventy years ago, before synthesizers and electric guitars. Films scores have changed a great deal since even the most extreme orchestral music began to feel quaint. I love the idea of composers giving freedom to their musicians. Some things in music need to have their written down moments of notes or melodies that need to be played, but that’s what I love about jazz. When I was playing in the jazz band in high school, I was given the key and what chord was being played under each measure. There was so much freedom between me and the drums and it created its own tone where musicians got to express themselves. I want to see someone take that third piece of music and create something with it. It’s great that you had that musical experience. Music in general, and jazz in particular, are essential parts of growing up in modern culture. And yet many young persons have little experience with either, aside from what the media provide. They hear programmed beats and glitches that are sold to them as ‘music’. But they have no idea how any of those computer noises are generated, nor do they no anything about traditional instruments and harmonic theory. Learning music should be a reward unto itself, but it’s also a reward the brings with it many unexpected and unintended additional benefits, such as emotional wellbeing and brain health. While persons unfamiliar with this sort of unstructured music might see it as outrageously abstract and egg-headed, these composers where in fact rebelling against what they saw as the lofty pretension and detachment of European composers, in particular the generation just prior to them. They wanted to create music which did not just simulate real-life social interaction, but was itself a form of spontaneous social interaction in which anything could happen in the veritable encounter between performer and audience. These new forms of notion were not meant to control that encounter but simply ‘occasion’ or facilitate it. I would be intrigued to know how the sheet music for these pieces is read. It’s so different from anything I’ve seen before; it’s almost like art in itself. It’s refreshing to hear music different from what I usually listen to, whether that’s traditional classical composers or more recent music. These pieces often gave a sense of suspense or tension with dissonant notes, but Cage and Feldman especially had many calming notes as well. Overall, these songs have a very different sound than I’m used to hearing, which was very interesting to hear. In reference to Steinberg, these songs are like the very new and unfamiliar pieces of art that artists would be offended by, in sound form. I assume a lot of composers didn’t approve of these different compositions, at least in their time. 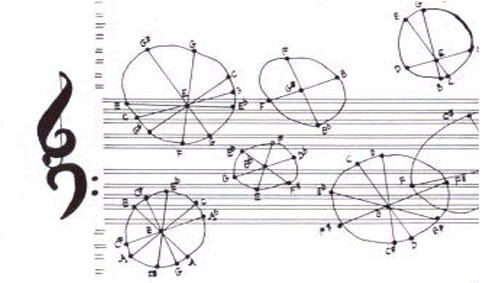 I believe these unfamiliar forms of notation were meant to encourage performers to pull unfamiliar sounds from their instruments. Recall what I’ve said a few times about modern art consisting not simply making weird images with the same old materials, or even with brand new materials. Rather, the point of modern art is to put new materials to the test and see what unexpected kinds of objects they can produce. In the case of music, these composers seems to be asking performers to reinvent their instruments by urging out of them sounds which don’t conform to standard notations. One of the persons most famous for pushing traditional instruments beyond their accepted limits was John Cage. 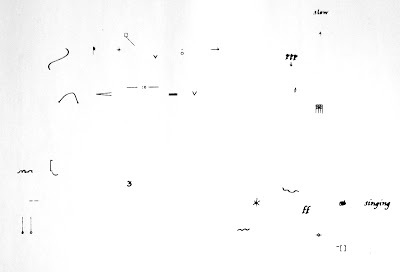 This began with his experiments in writing for the ‘prepared piano’.